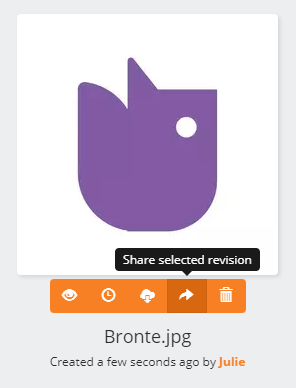 You can generate a short link directly to any collection, asset, or specific revision to share the content or to use as a quick way to get back to it. Members of your team or users with guest access will be able to access the link. 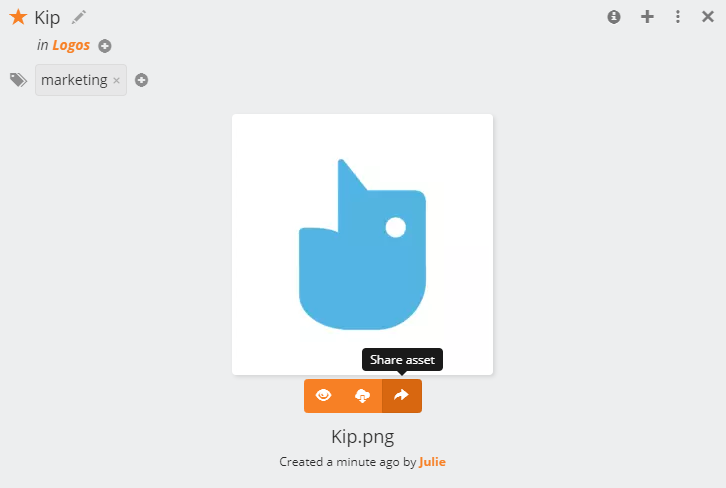 While viewing a collection or an asset, or when hovering over the thumbnail for the collection or asset, click on the button to display the share link.